There is a lot of press around Apple taking a deeper step into education with their iBooks Author tool. We’ll cover that in the future after we have a few creations completed. Till then, we have a nice find that is a free app unrelated to iBooks that you may find very useful. 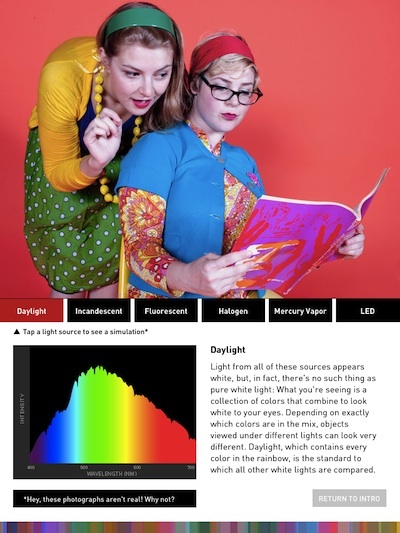 The ‘app’ is more of a enhanced book application called Color Uncovered. 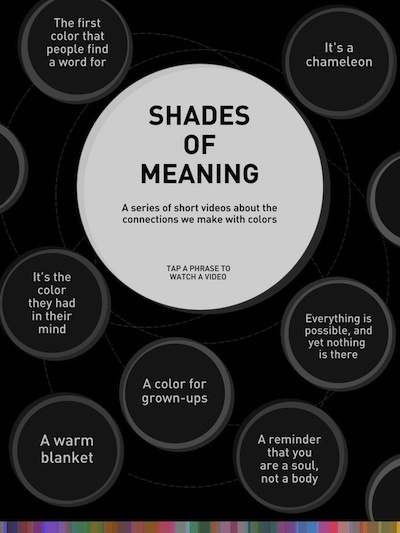 It’s purpose is to help you better understand everything about colors. How your eyes see colors, how your mind ‘sees’ colors, how colors play into the impact of a photo and ads. It is actually a very important subject for anyone that snaps a photo from time to time. As well, helpful to our creative and not so creative folks. It’s a all-ages, everyone app… and it’s free. 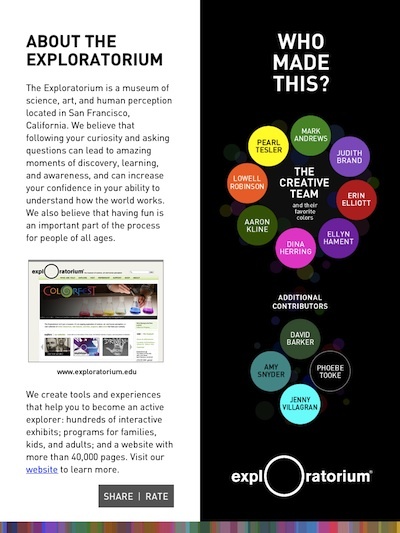 Color Uncovered was created by 8 folks with The Exploratorium in San Francisco, California. It encourages you to wonder and ask why, with their help you should be able to get to your answers. 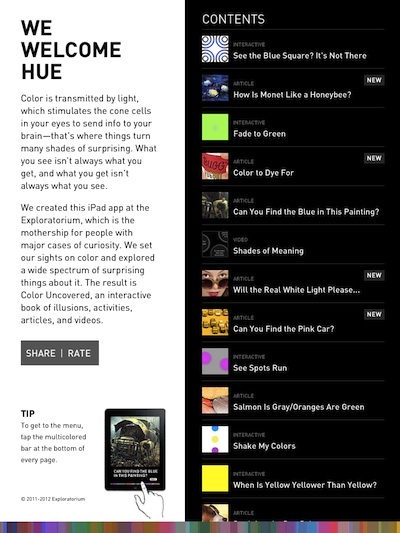 Opening the ‘app’ presents you with a list of contents, or in this case a list Color interactive articles. You can tap an article to jump right to it is swipe through one at a time. There doesn’t seem to be a must to read the content in order. Articles can have just text or include video, pictures and graphics to help expand on the particular color subject. Color Uncovered provides a little or a lot of information on every aspect of color and using color to deliver the message your looking for. Some articles have very little interactivity on their opening pages. There is just a short teaser so you can decide if you want to dig deeper. 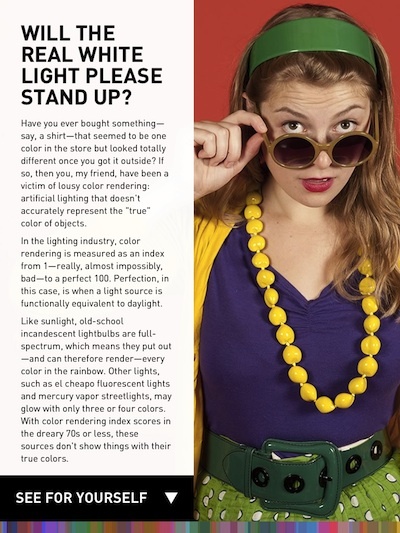 On these pages, Color Uncovered has a button at the bottom that will expand the content to much more detail. Tapping the ‘more info’ options takes you to more details in the form of text, video and charts. There is a lot here do you can learn the top level basics or spend a lot of time on any of the color subjects Color Uncovered offers. Like this article explaining how that lighting will completely change the impact of a picture way beyond just being brighter or darker. Swipe from side to side to move to the next article.